Train station, bus station and ferry terminal are 10 minutes’ walk from both our premises. Juniors from 14 years old, groups, adults, families, teachers of French for further training, professionals requiring specialised French. 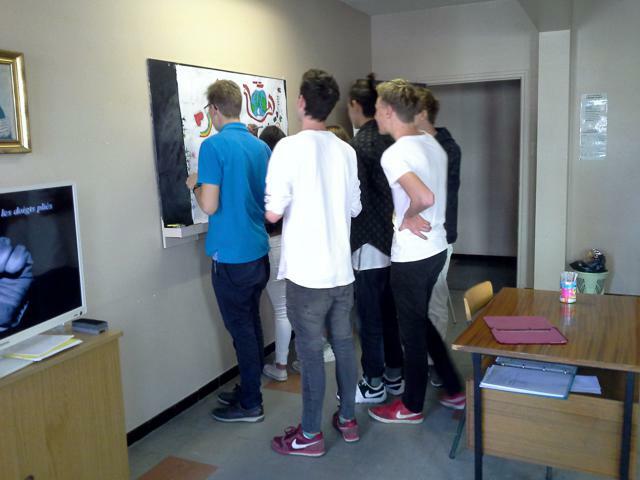 Our teaching staff offers a teaching method which requires very active oral participation. We have varied and fun teaching aids to encourage motivated learning in a friendly atmosphere. We develop various abilities: oral comprehension and speaking, written comprehension and writing. Through communication situations from daily life and educational materials: newspapers, songs, audio and video, sampling Provencal and French specialities. The DELF and DALF are official diplomas issued by the French Ministry of National Education, to certify skills in French for foreign candidates. 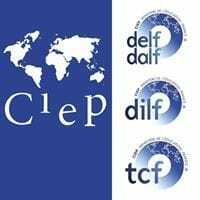 The DELF and DALF are made up of 6 separate diplomas, corresponding to six levels of the Common European Framework of Reference for Languages. DELF diplomas also exist in a version suited to teenagers. The 6 diplomas which make up the DELF and the DALF are totally separate. Thus, the candidate, depending on his or her level, can enroll directly for the exam of his or her choice. For each level, the 4 skills are evaluated : oral comprehension and speaking, written comprehension and writing. Are you planning to come to France with your pupils? Find out about one of our stays or arrange your own. Why chose our Institute in Saint Raphael ? In addition to the lessons, the pupils will improve their French thanks to cultural activities, whose programme will be linked to what has been learned in class. Cultural activities in the afternoon and excursions at the week-end: cultural visits to explore Saint Raphael and the Provence Côte d’Azur area ; sporting activities, meeting French school-children, cooking, trying local food. We recommend accommodation in host families so as to allow pupils the opportunity of total immersion in the French language and culture. The « All-inclusive » stay guarantees that the pupils are looked after immediately on arrival, French lessons, activities and entertainment, full-board (with packed lunch) accommodation with host family, supervision and safety, transfers from and to Nice Airport or Saint Raphael station. Activities and excursions specially adapted for juniors from 15-year olds and supervised by organisers who are activity enthusiasts. The same person will be responsible for your child throughout the stay. The school is located in the town centre, everything is in walking distance: Train station, beach, shops, buses. Would you like to start learning French or are you hoping to improve your French? Whatever your level, whatever your age and whatever the reasons for wanting to learn French, you will find a training programme at the French Institute of Saint Raphael, tailor-made to your expectations and your needs. I am happy to introduce our French Institute of Saint Raphael on the French Riviera. My team and I would like to develop a partnership based on trust. I should like to invite you to come and visit our two premises located in the town centre of St-Raphael, talk to our teaching staff, find out about our excursions, sporting and cultural activities and meet our host families. My agents have been working with me in total confidence for the past 10 years. With over 15 years of experience in teaching and school management. Between ST TROPEZ and CANNES, SAINT RAPHAEL is 40 minutes from Nice airport, with a population of 36 000 in winter and double that in summer, yet it is still a town on a human scale where you can make your way around in total safety. Explore, go for a stroll, this is really how you should start. Take the time to get to know the everyday life of St Raphaël. Besides the beaches of the Saint Raphaël town centre and the large Fréjus-plage beach, at the foot of the Estérel hill range, St Raphael also boasts coves and inlets, red cliffs and a tourquoise-coloured sea. It’s a permanent invitation to go for a swim. Along by the old harbour, the Albert 1st quayside hosts a variety of entertainment on the wide pavements where shops and restaurants abound, with arts and crafts markets every evening in summer. Water sports activities : sailing, water skiing, boat trips, scuba-diving, sea kayaking, stand up paddle, canoeing, Olympic swimming pool. Many restaurants offer local cuisine and know how to promote Mediterranean and regional dishes. There is a Provencal Market all year round and a big market along the Fréjus Plage beach for 2 kms every Sunday morning. For your evenings: 7 cinema studios, a theatre, a gambling casino, pubs, billiard-bars, piano-bars and discos. August – St Peter’s festival, firework displays and dancing etc. …. Nice, Cannes, St Tropez are nearby. Saint Raphael is a golfing paradise: two 18 hole courses, and two 9 hole courses. With its Basilica, its archeological museum, the old town and its Cultural centre, Saint Raphael takes you back into history. Adjoining St Raphael, the Roman town of Fréjus also plunges you into history. Guided tours of the Cathedral and its magnificent Cloisters. 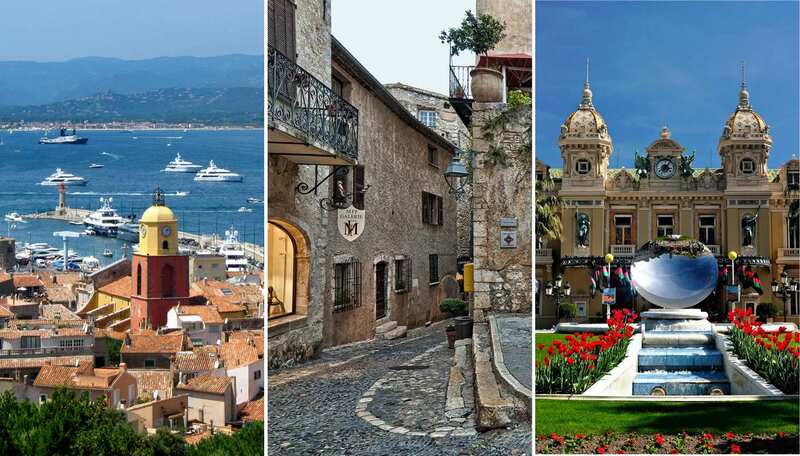 The Saint Raphael French Institute will show you around Saint Raphael and the area through excursions, cultural and sporting or play activities. All these activities are supervised by professionals. Ideal for total immersion in French culture and to discover the culture and the pace of life « à la française», (the French way of life) as well as learning French much more quickly. Accommodation in a host family is the best solution for you. It’s the only possible accommodation for the under 18’s. Carefully selected by our team, the host families have been working with us for a long time and have contracts with the French Institute of St Raphael, guaranteeing high standards. Our families have the sense of hospitality and welcome and our accommodation department will stay in touch with you throughout your stay in Saint Raphael. Our families live within a radius of 30 minutes’ maximum from the school (on foot or by public transport). You can be put up in the same family with one or several students. We take great care in the selection of our families and visit them regularly. Ideal if you wish to stay independent and cater for yourself! You have your own apartment and can therefore enjoy all mod cons during your short or longer stays. The apartments are situated not more than about twenty minutes’ walk or bus ride from the school. Each apartment is obviously different but everything is there to make you feel at home: your own bathroom, a kitchen area with everything you need for cooking and a sleeping area. Please complete the attached enrolment form and return it to our office by post or e-mail together with a deposit of 200 Euros. On receipt of your enrolment form, by which you agree to comply with the rules and regulations of the school and of the accommodation you have selected, written confirmation and other useful information regarding your stay, including an invoice detailing the various costs, will be sent to you by post or e-mail. N.B. : You will be fully enrolled on receipt of your deposit of 200 euros. Written confirmation with all the necessary information will be sent to you by e-mail or post as soon as your completed enrolment form and deposit have been received. If you are a citizen of the European Union you will not require a visa. When enrolling, you should send us a deposit of 200 Euros, preferably by bank transfer. Bank charges are for your account. If you pay by cheque, there will be an additional charge of 40€ per cheque on your invoice. The balance of your payment must reach us 30 days before the beginning of your stay by the very latest without any reminder on our part. Your payment must be made out in Euros and must cover all bank fees and dues. Please make sure the name of the student appears clearly. You must take out your own fully comprehensive international insurance policy that will cover you for everything during your stay (illness, accidental damage, repatriation, theft, etc…). ) and send us a photocopy of the policy. If you are from a country within the European Union, you should request Form E111 from your insurance company to cover you for medical expenses. If Participants are not insured for sickness, accident or theft, the International French Language Institute, represented by Annie TROVERO, will not be held responsible for any loss, damage or injury suffered or inflicted by a student on other people or property, either on the premises or outside, for whatever reason. Any interrupted or modified stay on your part while in Saint-Raphaël will not be refunded. Once a course has started, payment is due in full and the student is not entitled to any refund if he/she stops attending the course or only attends infrequently. In exceptional circumstances where a class does not reach the minimum number required of 6 students, the International French Language Institute reserves the right to modify the number of hours. The International French Language Institute reserves the right to modify certain times of courses without notice. No complaint on your part will be accepted after your departure if it has not been brought to the attention of our staff during your stay. In the event of any legal dispute, the parties agree that the case shall be heard under the sole jurisdiction of the courts of Fréjus. There are no classes on French Bank holidays. Private lessons will be made up during the student’s stay. to leave the school without notice. Fees will not be refunded. In the case of under-age students, the rules are sent to the parents. In the absence of such authorisation, enrolment for the course cannot be accepted. A written parental authorisation in accordance with the sample wording attached, and signed by the parents, must be returned with the booking form. If the rules specified in these authorisations are not respected (e.g. not keeping to the times, under-age student going out without permission), the International French Language Institute has the right to sanction (the student will be sent back to his/her country immediately). Adult students must respect the times shown in “HOUSE RULES WITH HOST FAMILY”. In extremely rare cases, if there is only one participant in a group level, only 50% of the number of hours will be given as a one-on-one course. If there are only two participants in a group level, 75% of the number of hours will be given during the week. By enrolling with the International French language Institute of Saint-Raphaël, you accept all the terms and conditions of enrolment. Agents, groups and school groups, please contact Annie TROVERO for a quotation. We will gladly prepare a quotation for any other request.